If you think celeb beauties would never and cannot bare it all, you’re about to be proven wrong. This is an ode to every actress without makeup that was brave enough to flaunt her flaws! Bollywood Beauties! Ahh who doesn’t want to be a Bollywood beauty or atleast look half as good as them. Welp, their beauty comes at a great price- healthy diets, extensive beauty routines, expensive treatments and a lot more. Like Queen Bey said “Pretty Hurts”! It's not everyday you see an actress without makeup. They have a certain image of beauty to live upto, people expect them to be flawless porcelain dolls, every minute of their life. Keeping up with such expectations comes with a heavy price and it's not easy. Here's a list of 15 incidences when a bollywood actress without makeup or little makeup showed the paparazzi their camera didn't matter and absolutely slayed the natural look. We applaud these celebrities without makeup, for giving unrealistic beauty standards a Big Finger! From airports to gyms and everywhere in between, these actresses have time and again bared it all and beautifully! 1. Deepika Padukone Without Makeup Is Still A Queen! This long legged bombshell is a perfectionist- with thick eyebrows perfectly lined in shape, her chiseled cheeks highlighted and lips colored pretty, everytime she makes a public appearance she is impressively dressed to the T! You’ll hardly see this actress without makeup. Only on a blue moon would you see Deepika at her raw best but when she bares it all, she certainly is not afraid of flaunting her natural beauty, she wears it proudly! Honestly with her smooth, shiny tan Deepika padukone without makeup is just as beautiful as deepika with makeup. 2. If You’re Born with It, Wear It Like Anushka Sharma Without Makeup! Anushka’s dewy, lush skin speaks for itself. She’s one of the few lucky people who are genetically gifted in the beauty department. Tbh Anushka sharma without makeup is healthy skin-spiration! It’s not unusual to see her sport the #NoMakeup look. From red carpet events to casual public appearances, Anushka has kept it simple with minimal makeup and fresh looks. It’s a rarity to see her wear heavy makeup, this beauty is not about the OTT life. 3. Sonam Kapoor Without Makeup Makes It Up With Her Fly Style! This ‘Fashion Royalty’ has Expensive written all over her, in bold! Popular for her unconventional, avant-garde, unique style, this B-town beauty doesn’t shy away from getting raw and filter free in front of the camera. Thus sonam kapoor without makeup is a frequent feature on her instagram too. This fashionista knows exactly what to do, oversized shades to hide the eyes and a power pantsuit to make a powerful statement and nobody would even notice the bare face. 4. Alia Bhatt Without Makeup- Young, Fresh & Healthy! Nobody does casual as cool as Alia! She almost always has a fresh glow and with a charming smile like hers, makeup is not a necessity. 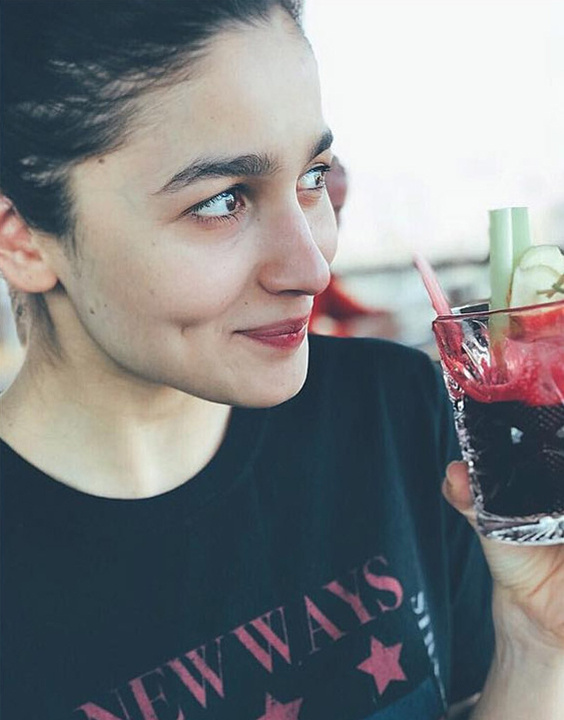 Alia’s young, healthy skin is a result of healthy power juices and exercising. It’s not often that you see heroines without makeup but she being the carefree millennial that she is, Alia Bhatt without make up is a common sight and if you’re lucky you might just run into her on a walk around town! 5. Priyanka Chopra Without Makeup, Owns It Like A Boss! A patron of natural beauty and embracing flaws, Priyanka chopra has never turned face from giving the world a taste of her glam. She is often seen gracing posters and magazine covers without makeup, she is unafraid of criticism and can handle whatever’s thrown her way. One to defy norms both social and beauty, Priyanka Chopra without makeup still rules our hearts and the style scene. This Boss Lady owns her flaws! 6. Kareena Kapoor Without Makeup is Literally BAE! When you’re born with good skin,silky hair and beautiful eyes, do you even have to worry about what you look like? Bebo sure seems to not bother much about makeup! Kareena kapoor without makeup still lives up to widely acceptable Indian standards of beauty. It’s not out of the ordinary to see her go ‘au natural’. Weather it’s a workout sesh at bandra or a beach vacation in Maldives, taking a break from makeup sure seems easy for this Diva. 7. Katrina Kaif Without Makeup Serves Freshness! You’d hardly ever see Katrina wearing heavy makeup. One to levitate to softer looks - even in movies, at red carpet events or high profile weddings this actress has time and again shown the world that she doesn’t rely on makeup much. Katrina kaif without makeup is everything that every woman wants to be. She has clear, blemish free, fresh skin that anybody would kill for. 8. Shraddha Kapoor Without Makeup Makes Me Believe In Herbal Tea! Maybe detoxicating does do your skin wonders because Shraddha kapoor without makeup is like a ray of light on a dark night! A healthy lifestyle advocate, Shraddha sure seems to be practising what she preaches! You don’t just stumble upon fresh, dewy and glowing skin. Sometimes you have to work for it, work hard for it! 9.Jacqueline Fernandez Without Makeup Is A Winner! Jacqueline’s happy and energetic laugh is enough to make one fall in love with her, her long luscious locks and beautiful face are like a cherry on top. Even when Jacqueline Fernandez without makeup her positivity and happy spirit reflect in her face. She’s winning our hearts and giving us confidence to embrace our perfectly imperfect skin. 10. 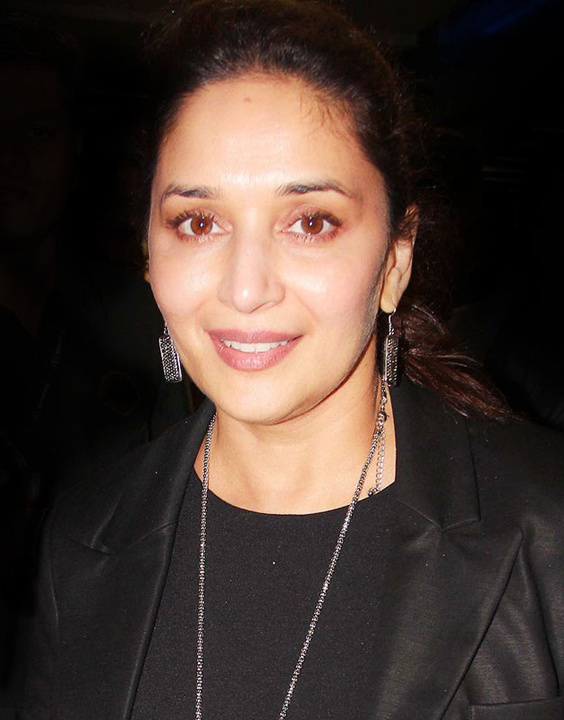 Madhuri Dixit Without Makeup, Can Give Actresses A Run For Their Money! This evergreen actress is an epitome of classic bollywood charm! This B-town Mohini (enchantress) has enticed Indian audiences with her beauty over two decades and is still ruling hearts. A champion of healthy living and keeping fit, she dances her way to organic beauty. Unafraid of what her critics have to say, Madhuri Dixit without makeup often makes appearances at dance sessions and public events alike. 11. Hina Khan Without Makeup Gets Honestly Bare-Faced! You have to be really brave to be able to go bare faced everyday for months on national T.V. especially when you're a much adored celebrity from the silver screen. Well Hina khan without makeup was a regular on our tv sets during her stint on Big Boss. Her workout looks are so well put together they are an inspiration. 12. 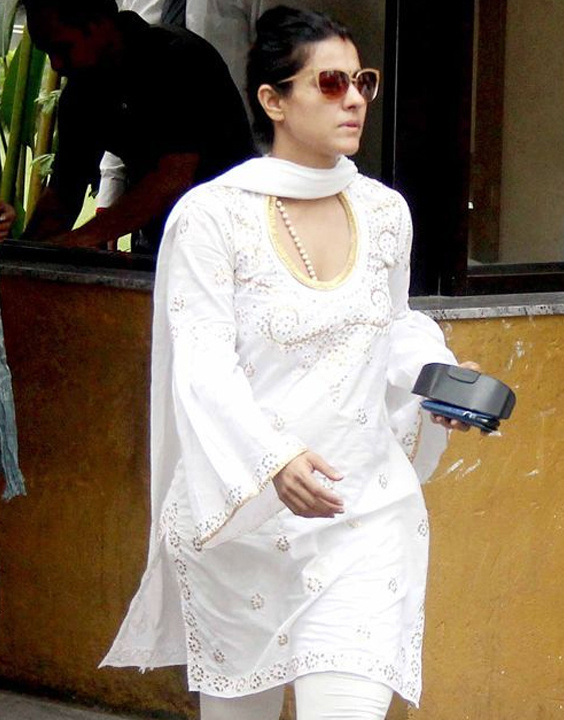 Kajol Without Makeup Is Carefree! Well, She’s Always Carefree! This Bollywood actress is known for her zesty, feisty personality. She speaks her mind and has made her strong opinions about celebrity airport looks and all the efforts that go in creating eventful celebrity looks quite clear. She really isn’t about all that effort. Naturally it’s not really a big deal to see Kajol without makeup. It’s no big deal to her, shouldn’t be to us either right? 13. Do It Like Sunny! Sunny Leone Without Makeup - A Heartthrob! Sunny leone is blessed with good skin and beautiful eyes. You will often see sunny leone without makeup especially during her workout routines that she shares with her fans online, apart from that she is often spotted at airports, casual days out in L.A and Mumbai. Even dressed at her simplest, she reflects positivity and a natural glow! 14. Kajal Agarwal Without Makeup Is Super Casual Chic! It's not unusual to see a tamil actress without makeup, they are pretty famous for sporting natural looks. .
Kajal Agarwal without makeup is a common sight around town, she is often caught at her casual best on outings with friends and family. We must say she slays casual like no other celebrity! 15. 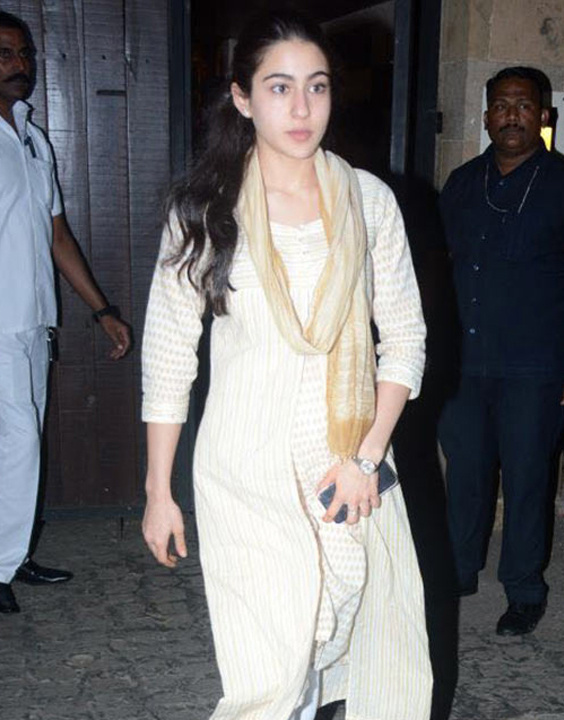 Sara Ali Khan Without Makeup or With, Is Always A Charmer! This fresh faced beauty has certainly inherited good looks from her mother. Almost a young clone of her mumma, Sara Ali khan without makeup has a fresh charm, that no other actress can match right now. Even at her simplest, in a plain suit and no makeup at all, Sarah is a pretty spectacle. Everything said and done, there’s no denying that these actresses are just as prepossessing with or without a made-up face. Take inspiration from your favourite actress without makeup, go makeup free and embrace your natural beauty. What your critics say ,don’t matter! How you feel about yourself is all that does. So love yourself girl!